The Langstroth bee hive is the standard beehive used in many parts of the world for bee keeping. 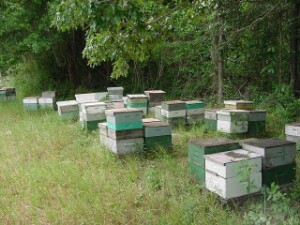 The advantage of the Langstroth hive over hives previous to its invention in 1851, is that the bees build honeycomb into frames, which can be moved with little trouble because the frames are designed so that the bees do not attach wax honeycomb between the frames or to the walls of the hive, and do not cement the frames to the side of the box using a resinous substance called propolis. 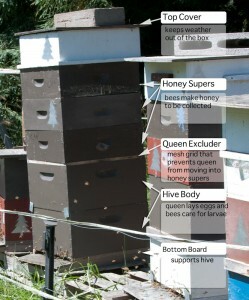 This ability to move the frames allows the beekeeper to manage the bees in a way that had previously been impossible. Other inventors, had designed hives with movable frames, but Langstroth’s hive was the first practical movable frame hive which overcame the tendency of the bees to fill empty spaces with comb and to cement smaller spaces together with propolis. This practicality is demonstrated by the eventual adoption of the Langstroth hive over all others, and its current use throughout the world. Langstroth constructed his hives so that the frames in which the bees were to make their combs were mechanically separated from all adjacent parts of the hive — the walls of the hive, the floor of the hive, the cover of the hive, and other frames — by 3/8 inch (6.35 mm). 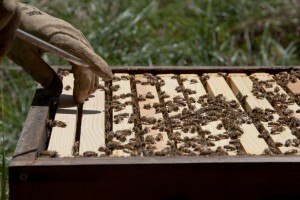 To extract a frame from such a hive the beekeeper will not need to cut any comb. 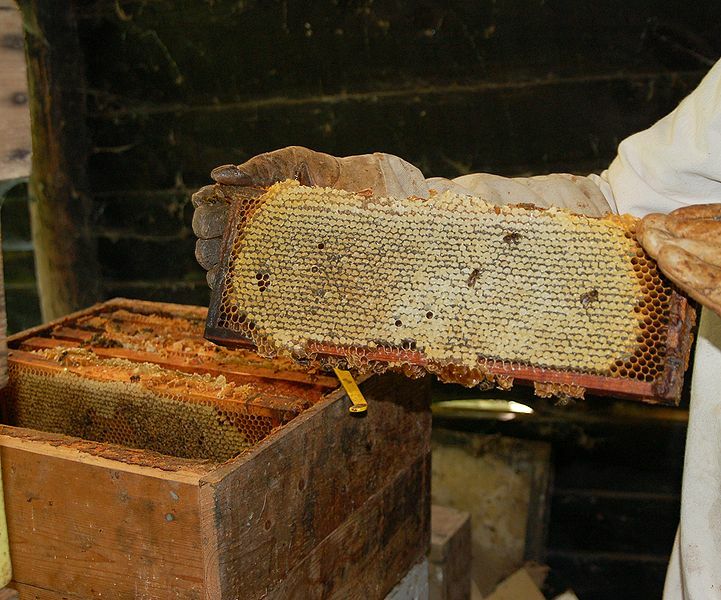 Usually the maximum trouble a beekeeper encounters in removing a frame (apart from bees who may be cranky because the nectar is not abundant out in the field) is that the bees will generally use propolis to adhere the frames to the brackets they rest on. Being able to remove combs easily makes it possible for a beekeeper with many hives of bees to still be able to inspect all of his hives on a regular basis to check for disease, imminent swarming, an aging queen, etc.